We teach how to design a broucher , visiting cards, corporate logos, Text formating, excellent design like posters, banners, etc.. would be delivered as project oriented industry standard curriculum method.This would be helpful for printing industry.After completing this module you can abel to create your inspiring backgroung images, Delightful illustrations. 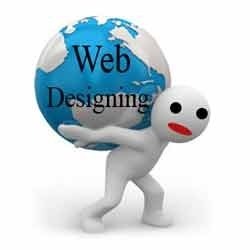 Qualify for any kind of graphic/web designing job. “A image is worth more than thousand words. Graphic designing course consists of Photoshop Coreldraw Illustrator. Our Graphic Design course is tailored to tap into your creative potential and develop your conceptual skills . We offer a practice-based approach that is driven by critical exploration of methods, materials and technology. Adobe Illustrator is graphic driven software used primarily for creating vector graphics, logos, cartoons & fonts for photo realistic layouts. This program can be used to create images from scratch or to alter existing images. EduCADD Learning Solutions Pvt Ltd.